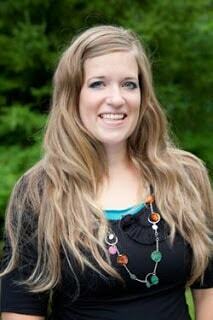 My favorite rocks to collect on the beach or lakeside are heart shaped rocks. I somehow feel like they are love messages from loved ones passed. 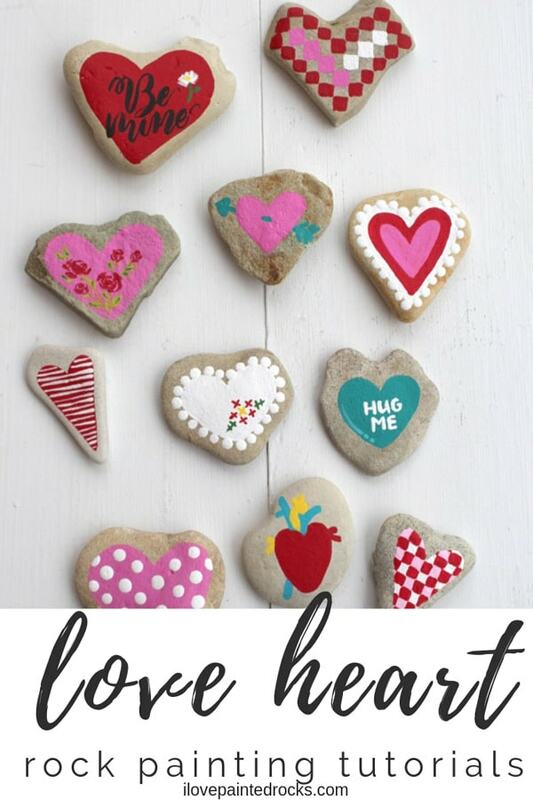 Collect all the heart or triangle shaped rocks you can find and paint a gorgeous variety of heart shaped rocks with my rock painting ideas below. Which Valentine painted rock is your favorite? Step 1: Use a fine point paintbrush with red paint, to paint a series of squares to form a heart as shown. Step 1: Use pink paint to paint a heart outline and fill it in. Step 3: Use a fine point paintbrush and green stems as shown. Step 1: Use red paint to paint a heart outline and fill it in. Step 1: Use blue paint to paint a heart outline and fill it in. Step 2: Use a narrow point paintbrush and white paint to write "hug me". Step 3: Use a fine point brush with a slightly lighter shade of blue to add a highlight mark as shown. Step 1: Use white paint to paint a heart outline and fill it in. Step 2: Dip the blunt end of your paintbrush in white paint and use it to make a dotted border around the edge of the heart. Step 3: Leaving some white edge, paint and fill in a red heart inside the white heart. Step 4: Use pink paint to paint a smaller heart inside of the red heart. Step 2: Use a fine tip brush and red paint to paint a checkerboard pattern over the white. Step 3: On every other line of checks, fill in the white spaces with pink paint. Step 2: Use a fine point paint brush and white paint to add horizontal lines to the heart. Step 2: Use a fine point paint brush and blue paint to add an arrowhead on one side of the rock and an arrow tail coming out the other side. Add a dashed in the middle of the heart. Step 3: Using a fine tip brush and red, yellow and green paint to X's to suggest cross stitch as shown. Step 2: Dip the blunt end of your paintbrush in white paint and use it to make a dotted pattern on the heart. Step 1: Use red paint to paint a narrow heart outline and fill it in. Here are all 11 fabulous Valentine inspired rocks--which one is your favorite? I love this Be Mine! 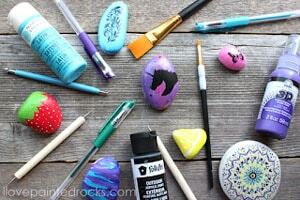 If you are inspired by this rock painting collection and decide to make your own, won't you share? If you are willing to let us feature your rock on this website, you can submit your unique painted rock creations here.